Cozy Cabins for the Perfect Minnesota Getaway! Loon’s Nest Resort is a family owned and operated vacation resort located in Park Rapids, Minnesota, on Fish Hook Lake near Itasca State Park. We take pride in offering our guests a relaxing and fun atmosphere surrounded by the picturesque pines of northern Minnesota, comfortable cabins, and warm hospitality. Our peaceful family-friendly vacation resort provides clean, cozy and affordable cabins for the perfect Minnesota getaway. 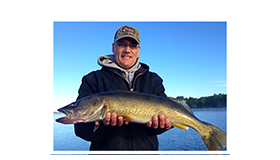 Whether you’re taking the whole family on a summer vacation in the spectacular north woods area of Minnesota, or you’re planning a fishing trip—Loon’s Nest Resort is a respite from the hustle and bustle of everyday life. Our family resort offers a safe, sandy beach with swimming, fishing, boating, biking, volleyball, children’s activities, a playground, a recreational game room, and more. Our family here at Loon’s Nest Resort invites you to spend your next vacation with us. 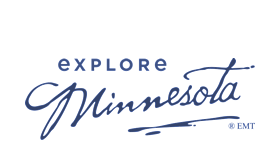 Come and experience the beauty of our Minnesota home in the pines. Please call or e-mail us for available dates. Our seasonal calendar fills up fast so contact us soon. From our family to yours… we hope to see you soon!